25 mile commute in each direction... I must have a bottle of those on the shelf somewhere. 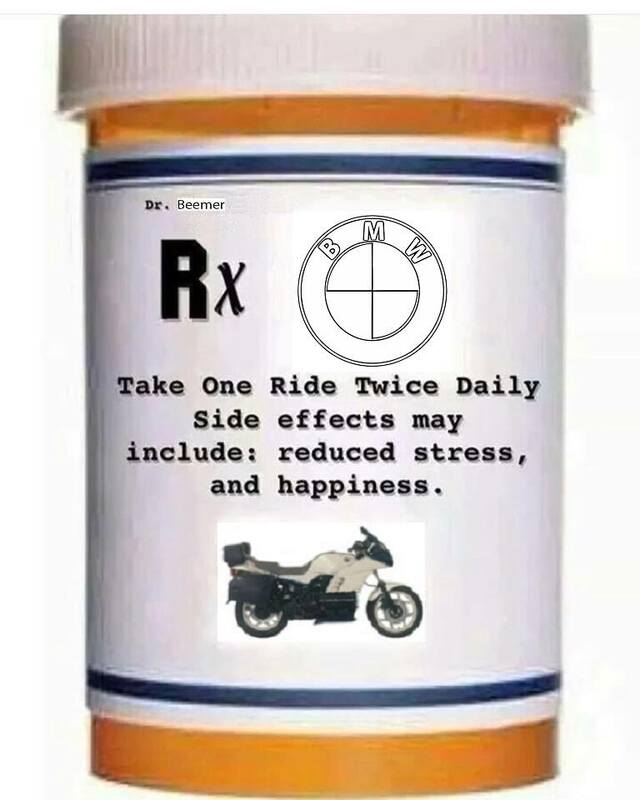 I usually can't make it twice a day these days since I am lucky enough not to be employed anymore however the message is very true as I commuted to & from work by motorcycle for many years. I've needed a few ride days in amongst my house building project over the last six months. I didn't see it on facebook, but it's gonna be on my page in about 30 seconds.